We provide antibodies and antigens for IVD companies, research groups and institutions. Below you can see the list of all of our product categories. All of the products in these categories are available from our online store. 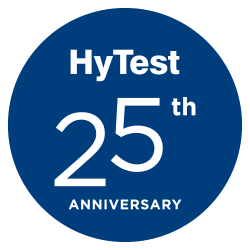 The HyTest Online Store ensures that your ordering process is both easier and faster. It enables you to receive prices immediately without having to wait for quotes, which means that you can make an order whenever you want. This will help to save your valuable time. Q: I need to also send our PO document - can I attach it to my online order? A: Yes, you can add your PO document to your order on the checkout page. You just need to select “Purchase order” as a payment method on the checkout page. Q: I need a bulk quote - how can I get it? A: You can see volume discounts up to 15 mg on our site after you have logged in. If you need a quote for larger amounts, just add the amounts to your cart and click on the “Request an offer” button. We will then receive your quote request and send you our offer as soon as possible. Q: I also need a quote for smaller amounts before I can order. How can I get it? A: When you have the correct product and correct amount selected simply go to the “Review” page and click on the “Print quotation” button. Q: If I need to leave my computer for a while, will my cart be emptied? A: No - products will remain in the cart until you empty the cart or if your browser history is deleted. Q: Can I order using a smartphone? A: Yes, you can complete the order process by using a smartphone as all of the pages as well as the checkout process have been designed to be mobile friendly. You can even switch between your desktop computer and a smartphone and the selected products will still be in your cart. All you need to do it is to be logged in. See all FAQs related to Online Store.